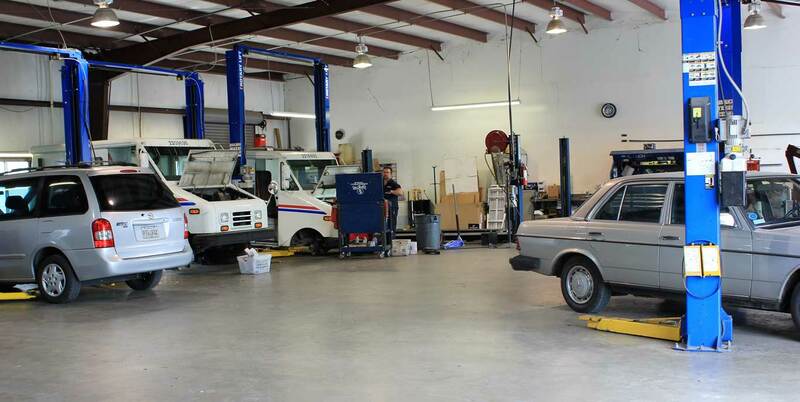 Our ASE certified auto repair technicians have the experience, skill, and up-to-date equipment to properly maintain and repair all foreign and domestic cars and trucks, diesel vehicles, motorhomes, and fleet vehicles. We are a totally independent auto repair shop, which means we answer only to ourselves and our customers when handling repairs. We’re not about meeting sales quotas or squeezing out an extra dollar from customers. Instead, we offer upfront, fair pricing and honest advice on getting the most from your vehicle. AND DON’T FORGET TO CHECK OUT OUR SERVICE SPECIALS! Your brakes are your car's biggest safety feature, so they need to be working perfectly to best protect you and your passengers when you need to stop suddenly. Our technicians are ASE certified with lots of experience in different braking system issues, and are equipped to handle all types of brake repair and maintenance items, including brake pad and shoe replacement, resurfacing rotors, brake caliper replacement, brake hose replacement, and brake fluid flushes. We'll have your vehicle's braking systems working like new. Is your check engine light on? Is your car intermittently stalling or not starting? Then it's time for a trip to the diagnostic experts at Jefferson Auto Service North. 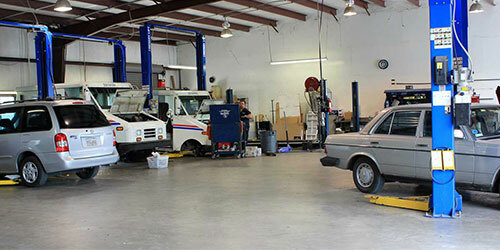 In the Covington area, we're known for our diagnostic skill, and making precise repairs. Some auto repair shops “fix” a bunch of potential issues without knowing the exact cause of the problem, but hoping they hit upon it. Not us. Our technicians never perform unnecessary auto repairs, and we believe you should never have to go to the auto repair shop twice for the same issue. More than any other preventive maintenance service, regular oil changes are critical to your vehicle's wellbeing and longevity, no matter what you drive. When oil breaks down over time, it becomes less effective as a lubricant, which means parts of your engine will rub together and wear out, potentially leading to the need for expensive repairs. As your car ages, routine oil changes become even more important to prevent loss of performance and efficiency. When you come to Jefferson Auto Service North for an oil change, we promise to make it as quick and convenient as possible. Your suspension system is what keeps your vehicle stable while you are steering. If your car or truck is noticeably bumpier or rougher than it used to be, or if your vehicle pulls to one side during turns, or if the front or back of the car lurches forward when stopping, these are all signs your suspension system isn't working properly and needs service ASAP. It is best to get any chassis, suspension, or alignment issues dealt with quickly as a failure of any of the components can be a major safety risk, in addition to requiring a much more extensive and expensive repair. Your vehicle's A/C is part of the HVAC (heating, ventilation, and air conditioning) system, and one of the most important parts of the comfort-control center. What we don't have to tell you is that when your air conditioning isn't working properly, driving can be miserable and, in some cases, even dangerous when the temperatures soar in Southern Louisiana. Our technicians can help if you're experiencing low or no vent air flow, improper vent air temperature (i.e. not as cold as it should be), foul smells, noises during A/C operation, or overheating. We sell, install, and repair a good number of tires at Jefferson Auto Service North, and we carry most of the major tire brands, including Goodyear and Firestone. Chances are we can offer you a great price on tires, and keep you coming back for your tire service needs. When comparing the cost of tires in the Covington area, please give us the opportunity to meet our competitors' prices. As with all our automotive services, you can count on us for honest, upfront advice on purchasing tires, and we won't try to sell you unnecessary frontend work by scaring you into thinking you'll ruin your tires without it.